Examine dividend stocks for some sound fundamentals. Stocks that pay you dividends have great appeal, but you have to make sure the stock can continue paying that dividend. You also need to know that the company issuing the stock has sound business practices and an effective business model, so that the company will last. Establish a few criteria for your dividend-stock screening, so that you can find the best prospects to ensure present and future dividend payouts. Review the dividend history. Companies that have consistently paid dividends and increased their dividend tend to be reliable. Look out for dividend cuts or periods when the dividend was suspended altogether. Standard and Poor's Dividend Aristocrats website can get you started. This list includes companies with strong dividend performance. You can also look up dividend history at Dividend.com. Calculate free cash flow. Companies pay dividends out of the cash they have left over each quarter. You should subtract capital expenditures from operating cash flow. You can find this information in the company's financial statement. Every quarter, public companies file a 10Q, and each year they file a 10K. These are company financial reports. You can find them on the MSN Investor, Yahoo Finance, Morningstar and Google Finance websites. Examine the dividend payout ratio. This figure tells you what percentage of the company's cash goes to dividends. You find it by dividing the annual dividend by earnings per share. You can get this information on most financial websites. You want a low number for this percentage. For example, a company that pays 30 percent of its cash in dividends has money left over for growth. 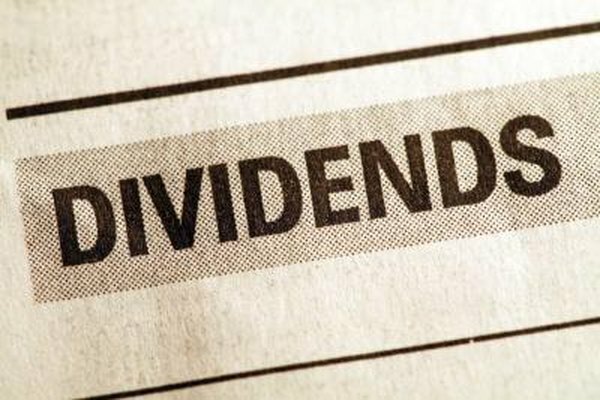 A company dedicating 90 percent of its cash to dividends might not be able to sustain both the dividend payout and its own growth. When you find a stock whose dividend is much higher than similar stocks, be careful. High dividends can be hard to sustain.